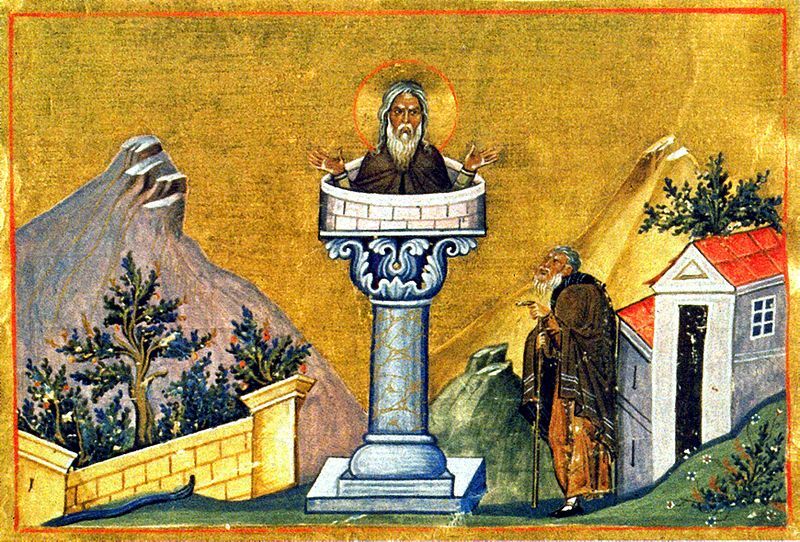 If everyday life is getting you down spare a thought for Simeon Stylites, a hermit who lived in Syria around about 400 AD. Simeon entered a monastery as a young boy but his daily regime of austerity and prayer was so extreme that he was asked to leave. He wandered the countryside in search of a suitable place to live and worship. Just outside Aleppo, he came across a pillar (stylos in Greek) and decided to live on top of the pillar on a special platform about one meter square. He wanted to be free from worldly constraints so that he could pray and commune with God without interruption. Simeon spent 37 years on top of his pillar. That is a total of 13505 days. In 1842 Alfred, Lord Tennyson wrote a poem about Simeon which extended to over 220 lines……..